Ian Brodie is the author of A Vulgar Art: A New Approach to Stand-Up Comedy. This book is the first examination of stand-up comedy through the lens of folklore. By using a folkloristic approach to stand-up comedy, Brodie leverages the discipline's central method of studying interpersonal, artistic communication and performance. This book regards everything from microphones to clothing and LPs to twitter as strategies for bridging the spatial, temporal, and sociocultural distances between the performer and the audience. Below is a conversation with Ian about his book, research, and what he sees as emerging trends in stand-up comedy. 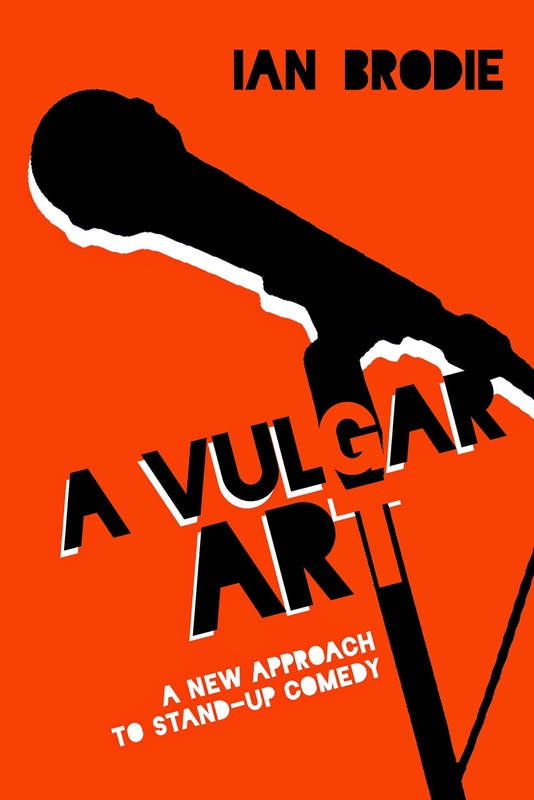 A Vulgar Art is now available from UPM. Explain your title: is comedy necessarily ‘vulgar’? No, at least not in the sense of dealing with taboo topics or using offensive language. But the title comes from a quote of George Carlin. In some of his final interviews he reminded us that ‘vulgar’ means ‘of the people’ (or ‘of the crowd’). It is not a top-down art form that requires the training of the academy or the conservatory: it emerges out of the real-world experience of people typically from outside of the corridors of power, and is directed to people of similar experiences. So A Vulgar Art refers to an inherently participatory form of talk between people in a non-hierarchical relationship that is similar to kinship and friendship, even when the comedian and the audience are actually strangers. But many comedians can and do use vulgarity, in the more common sense meaning of that word. True, but so can friends when they are among themselves. We speak according to the mores and norms of our group: we use different language in front of strangers from what we use in front of our families and our peers, and we are aware of those cues. And we use different language in times of play and leisure than we do at times of work. So comedians use the language appropriate to the group. If you do not like vulgarity in your day-to-day life you probably won’t like it much in your entertainment. Both the language and the content of stand-up is not what we would expect to hear in serious talk, in talk that is meant to be constructive or instrumental. It is play, and part of the comedian’s art is testing the limits of what is considered appropriate as part of that play, and he or she allowed to do so because the audience also frames it as play. What makes ‘good’ stand-up comedy? 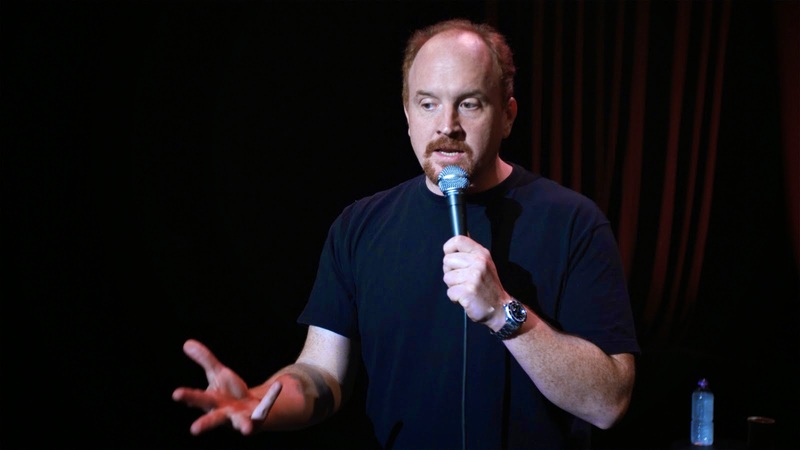 Louis CK as an example – still needs to make the people in front of him laugh, and if he does not it is a bad performance, because it stems from misreading the crowd. A comedian that might be otherwise thought of as a hack – let’s not use a named example – is performing ‘good’ comedy if the crowd is left laughing. What do you see as the next trend in stand-up comedy? Stand-up is always informed by the media in which it circulates. The two most recent trends have been wholly self-financed and self-released specials – like Louis CK’s Live at the Beacon Theater or Greg Proops Live at Musso and Frank’s – and specials directly produced for streaming services like Netflix or download sites like the now defunct chill.com. The former eliminate the gatekeepers of formal distribution networks, much like indie records have done: it was simply a matter of waiting until bandwidth’s expanded capacity and the simplification of online commerce made it feasible. Netflix streaming is still essentially a distributor, but with no tangible product to deliver and no broadcasting schedule to negotiate, their risk is minimal, while both the large subscription base and recommendation algorithms give broad exposure to the comedian. The stand-up comedy special itself is still largely informed by the model set forth by the cable special: I imagine that soon we’ll start to see more experimental work (like Maria Bamford’s The Special Special Special) or simply shifts away from established expectations like the 58 minute length. Over the course of your research, what was the biggest revelation you had about stand-up comedy? I don’t know if revelation fits, but one of the profound moments I had came while I was reading something for pleasure that I don’t even cite in A Vulgar Art. It was the first volume of (Monty Python member) Michael Palin’s Diaries, which detailed significant stretches of time when one or another member of the troupe was facing financial difficulties and encouraging group projects. As a fan at a distance, I think I always imagined that self-evidently talented people just got paid somehow for being who they are (despite me not being necessarily naïve in other things). It brought home the realization that whatever romance we place on the entertainer – particularly with the comedian and the identity of an itinerant truth-teller – this is a profession, something that people enter into with the hope of supporting themselves and loved ones. Podcasts, which in the last five years have allowed for new insights into the private lives of comedians, have reinforced the reality of the professional comedian, but it was Palin’s work that first made that clear to me. This isn't a book about the economics of the profession or the industry – that isn't the book I set out to write – but I think it is grounded in this realist perspective. Recently, it was announced that longtime ABC Soaps 'All My Children' and 'One Life to Live' that were recently slated for cancellation in September will continue online. 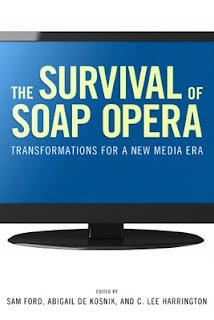 The following is a guest post from C. Lee Harrington, co-editor of the Survival of the Soap Opera: Transformations for a New Media Era. As a longtime soap fan and co-editor of The Survival of Soap Opera (with Sam Ford and Abigail De Kosnik), I was thrilled to learn that the online distribution company Prospect Park has licensed the rights to All My Children and One Life to Live, slated for cancellation by ABC in September 2011 and January 2012 (respectively). I have followed both programs for decades and was saddened by these series’ demise – and more importantly, by what it seemed to herald for daytime as a whole. 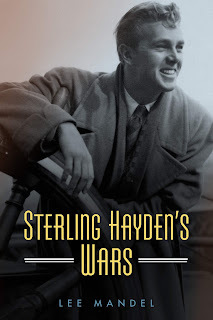 A new release this summer, Sterling Hayden's Warsby Lee Mandel is abiography of the master sailor, war hero, and one of the most unusual and troubled stars of the Golden Era of Hollywood. Read more about Hayden, including a review of the biography from the Washington Post, below. 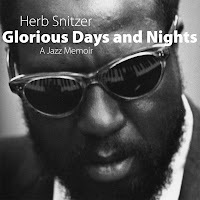 Glorious Days and Nightsis a personal account of the jazz photographer Herb Snitzer, with a special focus on his years in New York City from 1957 to 1964. A photojournalist for Life, Look, and Fortune, Snitzer was the photo editor and later associate editor of the influential jazz magazine Metronome. In the memoir, Snitzer recalls what it was like to go on the road with these musicians. His reflections run the gamut from serious meditations on his development as a young photographer working with musicians already of great stature to more conversational recollections of casual moments spent having fun with the jazz artists many of whom became close friends. The second half of the book features 85 black-and-white photographs including a number of iconic jazz images. Click through to see images from the book.